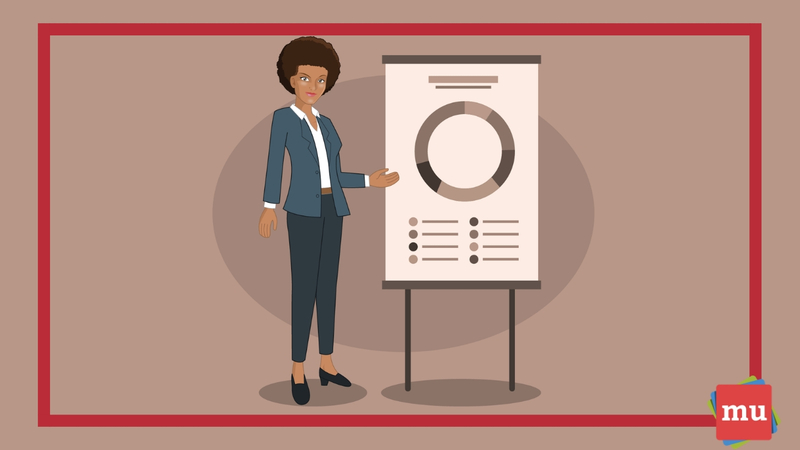 The media landscape in South Africa has seen significant changes over the last 10 years, but there is still more transformation that needs to occur. So how do we make this change happen? Read on to find out. Gender equality and diversity was the focus of the Women in Media event held at Google Johannesburg on Thursday, 7 March. media update’s Aisling McCarthy attended the event, along with numerous well-known women in the media industry like Ferial Haffajee, Verashni Naidoo, Nina Hastie and Azania Mosaka, among others. While the event focussed on discussing the issues that women face in the media sphere, there was an overwhelming sense of the need for change, and attendees left inspired and ready to address the issues in media institutes in South Africa. Before any glass ceilings can be conquered, you have to acknowledge that there is actually a problem. In her keynote address at the event, Mosaka said that she grew up listening to male voices on the radio and that, as she grew older, those voices remained male. Women did have some time on the air, but it was generally limited to weekends or the graveyard shift. 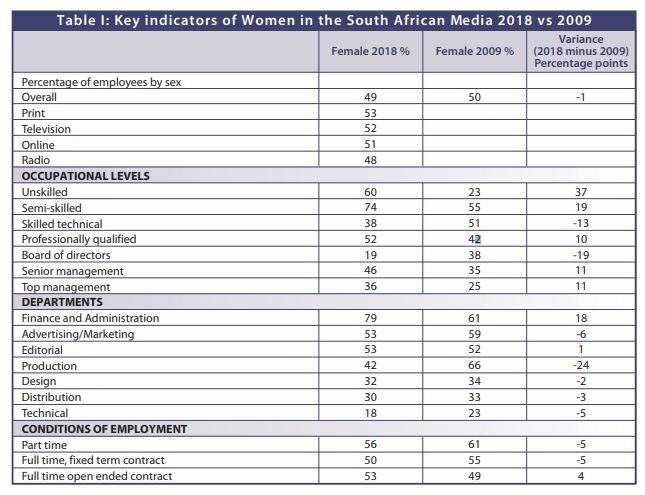 While many radio stations, television programmes and media houses are filled with females, one thing that is seriously lacking, according to SANEF’s Glass Ceiling 2018 study, is women in high-powered or ownership positions. Although the number of women in these positions has increased (for the most part) over the last 10 years, there is still a long way to go before there is any kind of gender equality. However, it is not only the media industry that has an imbalanced share of voice, and it is vital that we recognise this fact in order to implement changes. Once you have acknowledged that there is a clear issue with gender imbalance, you need to set boundaries for how you want people to treat you. Mosaka said that you cannot be upset with people for treating you a certain way if you have been inconsistent with what you allow. She provided an example of where she was at an event, and someone told a story during a group discussion that she felt was inappropriate. She spoke up and expressed her feelings of discomfort, but the story continued. Subsequently, she walked away as she did not want to be part of the discussion. Mosaka said that this is the kind of action women need to take to set boundaries for how other people can treat you. If you are okay with other women being treated in a certain way, then you should be okay with the same thing happening to you. If not — then you need to speak up. Various other women at the event spoke about their experiences of sexism in the workplace, but the overall message was apparent: people will treat you the way you allow them to. Simply tolerating misogyny does nothing for you, and even less for the women who will come after you. With the boundaries set for how you want to be treated, it’s time to consider the plight of other women. And how better to address the gender imbalance than to deliberately make space for female voices? Mosaka said that, specifically on radio, more space needs to be given to female experts, presenters and callers. “The more we hear ourselves, the more we think our opinions are valuable,” she said. 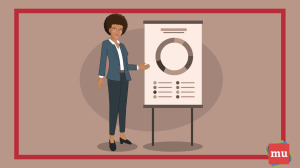 The Glass Ceiling 2018 reports shows that the media space is still heavily dominated by men; because of this, women need to celebrate when other women are chosen for promotions or are given opportunities, instead of asking, ‘Why was I not chosen?’. To move forward, women need to focus on growing their own skills and celebrating the victories of other women. A victory for one woman means a step in the right direction for all women. While there are many incidents of gender inequality within the media industry, the main message that came from the Women in Media event was that women need to focus on the bigger picture. While it might make your life easier to laugh off an unpleasant joke than to explain why it is inappropriate, it does nothing to better the culture and understanding of gender equality. A victory for one woman means a step in the right direction for all women. Mosaka mentioned that being the person to stand up to someone making inappropriate comments or jokes can often be unpleasant, but it is something that each and every person needs to do. What are your thoughts about the changing media landscape in South Africa and abroad? Is enough being done to ensure diversity? Share your thoughts with us in the comments section below. The media industry is one that is constantly in flux and paid-for content seems to be ‘the next big thing’. With that in mind, Are paywalls the future of media? Read our article to find out!